Pinterest is one of the most popular social media networks on the planet, yet for many men it remains a profound mystery. So I decided it was time to see what was really going on over there. First, the general perception that Pinterest is a largely female domain is not wrong. 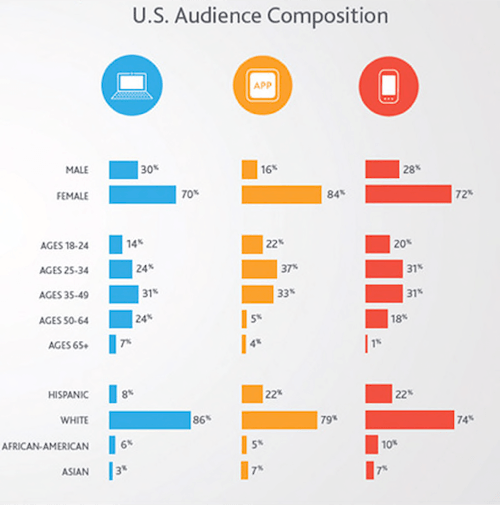 The vast majority of Pinterest users are indeed women, as the Nielsen Report chart below reveals. In fact, men are more likely to have a MySpace account than a Pinterest account. While Pinterest describes itself as “a tool for collecting and organizing things you love,” it’s best to think of the site as mash-up of scrapbook, photo album, middle school art-class collage and that old shoe box stuffed with mementos you store in the back of a closet. If Pinterest were a magazine, I suspect it would be kept very close to a toilet. Except that Pinterest is all-digital, always accessible and highly personalized. This is how it works: you digitally “pin” various items – pictures, links, memories, ideas, collections, products you want to buy – onto digital “boards.” Pin as many items to your boards as you wish, create as many boards as you like on just about any topic imaginable: cars, technology, tattooed women. Does any man think like that? Nonetheless, I jumped in, eager to explore an area of the web traversed by millions. After all, I like collecting “things” – even if I’m not sold on organizing them. Be warned. Like loud, overly-pleasant chimes on the door handle of some gift shop on Main Street, the site makes it clear that all eyes are upon you the moment you enter. Pinterest encourages you to use your Facebook ID at sign-up, and then aggressively reminds you which of your friends or followers are already Pinning away. It also persistently beckons you to share everything you pin with everyone you know. I ignored these distractions, still embarrassed I was there at all, and just kept moving deeper inside. Users “serendipitously” discovering retailer’s products to pin and later purchase is just one of many planned paths to monetize the site’s large user base and massive data stores. It may be the biggest one, however. 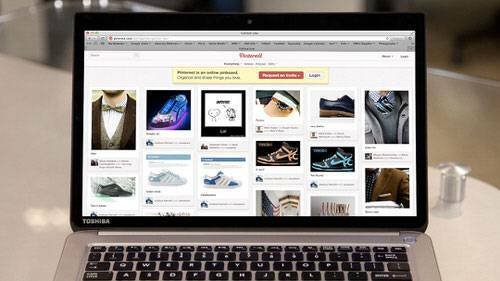 According to the Wall Street Journal, referral traffic from Pinterest far exceeds that from Facebook and Twitter. Nonetheless, some men are there, and for good reason. There is much on Pinterest for everyone to like. All it took to discover this truth was for me to embrace my inner grandmother. When you find something you wish to pin – yes, it is a needlessly delicate word – Pinterest encourages you to “♥ like” it. Fortunately, this is not required. Just find items you like, products you need, and pin them onto the board of your choice. Pinterest displays each item in a visually pleasing grid that beckons exploration. The site also offers a set of apps, widgets, a bookmarklet service and other features to ensure there is nearly nothing on the Web that cannot be pinned. Soon, like me, you will have several boards filled with favored items; everything from pictures of Italian sportscars and women in cat outfits, to faded Three Stooges posters I need to convince my wife to let me buy. My initial view of Pinterest was that the site was a digital scrapbook for older women with plenty of time on their hands, and a sort of catalog wish-book for younger women whose dreams are, at present, larger than their bank balance. Turns out, this is absolutely correct – only it represents just a portion of what Pinterest is all about. Don’t think of Pinterest as a shopping site, per se. Rather, it’s a set of tools for visual – not textual, aural or location-based – online discovery. When viewed this way, I have yet to reach the site’s limits. For example, I like World War 1 posters. In the Pinterest search box, I typed in “WW1 Posters.” Instantly, I was presented with many juicy finds. 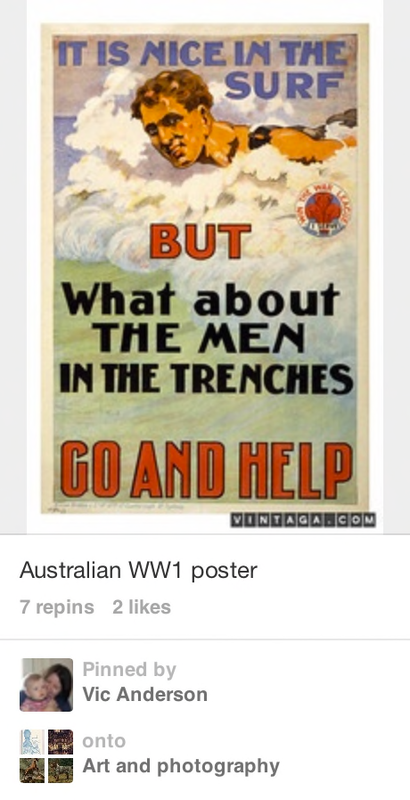 I clicked on a favorite and discovered it was an Australian WW1 Poster. I added it to my newly created “Posters Board.” Pinterest, not surprisingly, encouraged me to share my newest find on Facebook. I declined. However, it also told me how many others had pinned the very same item, making it easy for me to explore those user’s various boards and pins. My excitement was soon tempered, however. Exploring other people’s boards can get a bit overwhelming – like shopping for Christmas presents on Black Friday. I returned to the board where I first discovered the old poster. I clicked the “website” link and was taken directly to a vintage posters shop – still more great stuff to collect, and still another unplanned time sink. Later still, I returned to Pinterest and clicked on the profile of the user – a man – who had originally pinned the poster. He had numerous pinned items scattered across several boards: food, television programs, travel destinations. I decided to follow him and clicked on several of his other pinned items. Then I discovered a potential problem with the site – serendipitous discovery be damned. Pinned items very often do not take you back to the originating source. A pinned photo of, say, a gorgeous white sandy beach may lead not to a travel site, for example, but to a Tumblr of patio furniture. This seems like a definite snag in the company’s plans to generate billions in profits. Of course, that’s its problem, not mine. 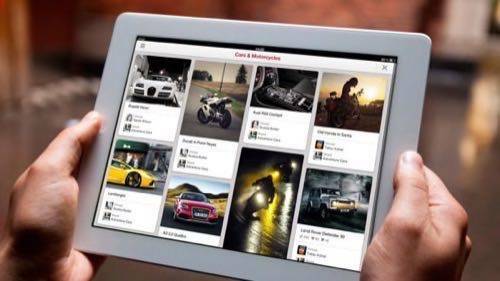 Pinterest is very visual: It looks good on PCs and even better on touchscreens. And it’s a snap to use. It’s so easy to pin, in fact, that I can’t stop. No worries. 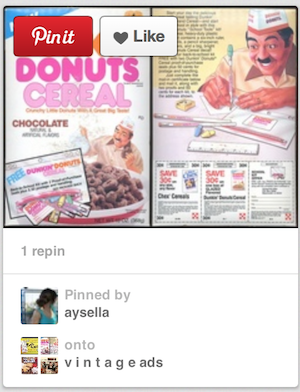 Thanks to Pinterest I quickly found others who had pinned the same items I was interested in. In a very big, busy, and densely populated world, I had, yes, serendipitously, discovered people who shared a very uncommon interest with me. Which is still the very best part of the Web.